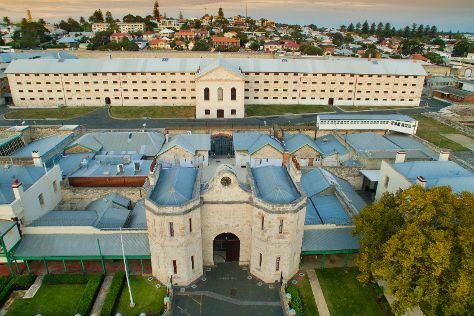 Get a sense of the local culture at Fremantle Prison and The Perth Mint. Deepen your sense of the past at sights like The Bell Tower and St. Mary's Cathedral. Change things up with these side-trips from Perth: Fremantle Markets (in Fremantle), Rockingham Beach (in Rockingham) and Caversham Wildlife Park (in Whiteman). Next up on the itinerary: enjoy the sand and surf at Cottesloe Beach, pause for some photo ops at Kings Park War Memorial, take some stellar pictures from Elizabeth Quay, and learn about wildlife with up-close encounters at Perth Zoo. To find other places to visit, traveler tips, more things to do, and more tourist information, read Perth trip itinerary maker site . If you are flying in from South Africa, the closest major airport is Perth International Airport. Expect a daytime high around 31°C in April, and nighttime lows around 15°C. Wrap up your sightseeing by early afternoon on the 27th (Sat) to allow time for travel back home.